THE International Monetary Fund (IMF) yesterday said it was ready to help Zimbabwe craft a debt clearance strategy anchored on fundamental economic reforms. This comes after outgoing British Ambassador to Zimbabwe Catriona Laing made similar remarks on Tuesday that London was prepared to support an interim staff-monitored programme for Zimbabwe to quickly clear its obligations to international lenders and start accessing new funding. Since 1999, Zimbabwe has been unable to access foreign funding, critical for infrastructure development, after it defaulted on payments. 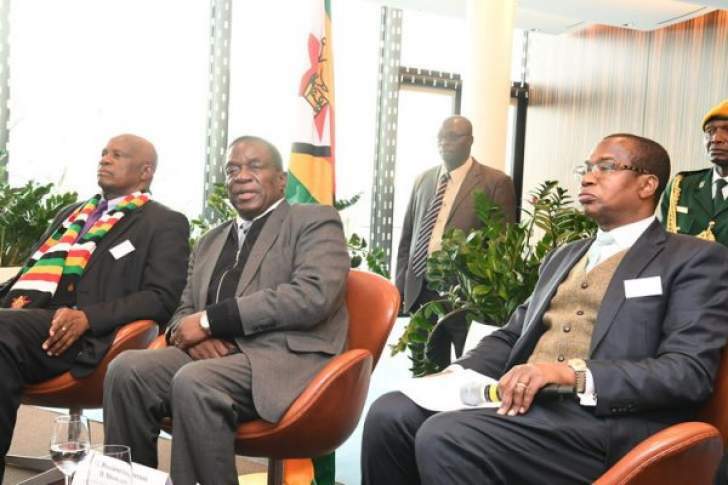 The US sanctions law, the Zimbabwe Democracy and Economic Recovery Act (ZDERA), also precluded multilateral institutions with dealings with the US from extending lines of credit to Zimbabwe. Zimbabwe is in arrears of nearly $1,8 billion to the World Bank and the African Development Bank. "The IMF stands ready to help (Zimbabwe) design a reform programme that can help facilitate clearance of external arrears to international development banks and bilateral official creditors . . . that would open the way for fresh financing from international community. "Supporting reforms will require a comprehensive stabilisation and structural programme from the (Zimbabwe) authorities and financial support from the international community to provide space for these reforms. "We see that the new administration of President Mnangagwa has expressed commitment to strong economic reforms," reads a statement by the IMF spokesperson. Speaking to journalists on Tuesday, Ambassador Lang said her country was prepared to help Zimbabwe "start a serious dialogue" around the clearance of the arrears. "We are here to give that support to try and encourage a process back to an IMF programme, perhaps through an interim staff monitoring programme as soon as possible," she said. "We will be going to Bali (Indonesia) for the World Bank meetings and again, further conversation around the arrears clearance issue of which, again, I thank (the) UK for being a key partner in moving that process along. "So I wanted to thank Ambassador Laing for being a wonderful supporter for Zimbabwe,'' said Prof Ncube. Ambassador Laing said the reforms were central to achieving the envisaged 'Vision 2030', under which Government wants to ensure all active citizens access "decent jobs" and a per capita income approaching $5 000. UK plans to support Zimbabwe when at this year's annual IMF and World Bank Group meetings scheduled for Bali Nusa Dua, Indonesia. There, Zimbabwe is expected to meet its creditors and present a strategy on its arrears clearance. The annual meetings are scheduled for October 12 to 14. Prof Ncube, believes 'Vision 2030' is "absolutely" achievable if "we all put our hands on deck".